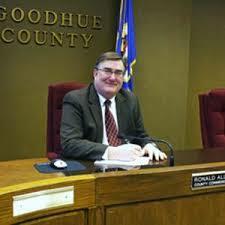 Special County Board meeting TOMORROW, 9 a.m.
We now have an official vacancy for District 1 on the Goodhue County Board that will need to be filled via a special election. Scott Safe took over when Ron Allen took a leave of absence for treatment for leukemia. Ron Allen died recently, creating a statutory vacancy and now Scott Safe is no longer in that position. 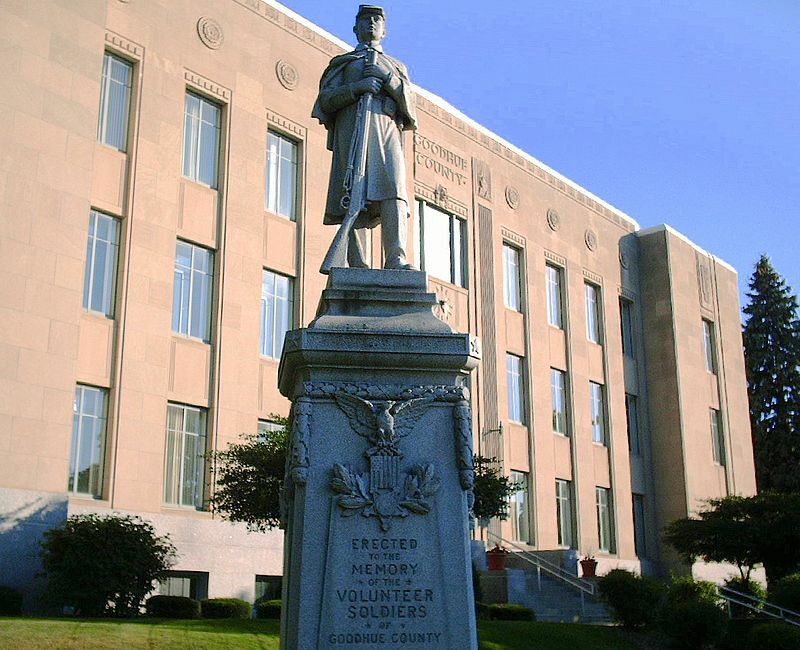 TOMORROW at 9 a.m., the County Board will meet to determine whether to appoint someone in the interim (again) or leave it vacant until the special election. Special elections are only allowed on specific dates, the first possible one in August (May 14 is apparently too close to schedule), August 13th, 2019. Before making an appointment to fill a vacancy under subdivision 4, the county board must hold a public hearing not more than 30 days after the vacancy occurs with public notice given in the same manner as for a special meeting of the county board. At the public hearing the board must invite public testimony from persons residing in the district in which the vacancy occurs relating to the qualifications of prospective appointees to fill the vacancy. Minn. Stat. 375.01, Subd 5 (in part). I don’t recall the circumstances, yes, I wasn’t paying attention, and I should have, this is my county district! I do recall being surprised someone was appointed, and having no say in that appointment. But there is a problem: The statute puts a 90 day limit on an appointment where Board member is unable to serve (Minn. Stat. 375.01, Subd. 3), and in this case, it began December 1, 2018, and would have ended March 1, 2019. That didn’t happen. Goodhue, we have a problem. Tomorrow’s morning should give us a clue as to what will happen. 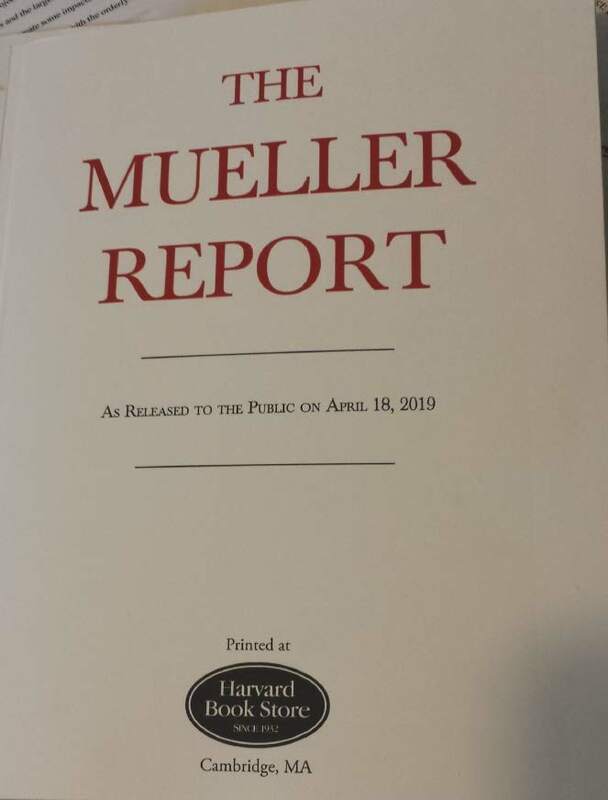 Hot off the press from the Harvard Bookstore. Get yours, just $18.95 + $7 shipping priority. (617) 661-1515. Just what I need, more to add to the 3 Public Service Commission orders filed last Thursday… lots of reading! That’s demonstrably false, which anyone involved in energy can see by the PPAs and overnight costs in any docket. Why were CAE’s costs inflated in their “study?” Because they included the PPA cost PLUS the overnight cost — really, read the study, the words and between the lines — that math doesn’t work. What’s conflated about the Rosenquist/CAE piece below? What’s convoluted about the piece below? Simple: Causation and coal. It drives me crazy when people repeatedly use the word “cause” and “causation,” regarding in this case, wind noise, and in others, EMF. Yes, it’s a logical result of applicants who have promoted use of those words in utility administrative proceedings (“Dr.” Mark Roberts always submits testimony that causation is not proven, but why? Causation or not isn’t a siting criteria! ), but it’s most unfortunate that so many have bought into this framing and spent good money on experts fighting this non-issue, in administrative permit proceedings and in district court eminent domain proceedings (i.e., the distractivism of the Cedar Summit focus on EMF diversion to causation, rather than reasonableness of concern, in an eminent domain proceeding, and despite expert witnesses and much discussion at the hearing, the judge was clear that causation was NOT an issue, see para. 15.). We ran up against that in every transmission docket, in every wind docket, and most recently, the Freeborn Wind docket. Earth to Mars, causation is NOT at issue in an administrative permitting docket — that’s NOT a personal injury suit! It is not helpful to go on and on about causation. Remember the tobacco cases — yes, that is a good comparison — because they’re so different. Those cases were tort cases, where causation is at issue — this is not. The two landowner families in Bent Tree were bought out after Commerce’s contracted noise studies showed probably “exceedences” of noise (notice how PUC staff also tries to frame it as causation issue?) over the state noise standards (Minn. R. 7030.0400) and the PUC approved the buy-out agreement. Causation is for tort actions — administrative permitting has zero to do with causation (click for explanatory link). Really… It’s that simple. This is why it’s important for an applicant to demonstrate that they can comply with the noise standards, and why in the Freeborn Wind docket, it’s a problem that the PUC is allowing them to avoid that public pre-construction review. When President Trump said, “The noise [from wind turbines] causes cancer,” the reactions were immediate. Iowa Senator Chuck Grassley called Trump’s statement “idiotic.” Democratic Presidential candidate and Vermont Senator Bernie Sanders mocked Trump in a Bernie 2020 video – standing alongside a road in Iowa with wind turbines in the background. And, no discussion of wind energy, no matter how minor, would be complete without the comparison to “dirty coal:” “A power source that does cause many health problems, including cancer, is coal, an extremely dirty fuel…,” Said Jonathan Chait of New York Magazine. 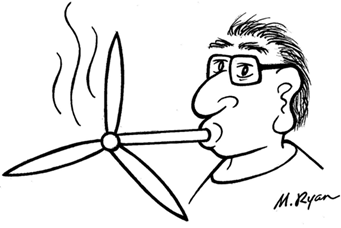 Thousands of rural residents with direct knowledge and experience with wind turbines had a different response. Rural Iowa resident Janna Swanson, President of the Coalition for Rural Property Rights, expressed what I saw as the most common reaction – matching my initial reaction – in her response published in the StarTribune (but not in the Des Moines Register to which she also submitted). “If President Trump said that industrial wind turbines cause cancer, that is unfortunate, because it downplays the real negative impacts that do come with living next to or within an industrial wind installation. On further reflection, I think Trump was only partially wrong by using one very important word – “cause.” What turbine noise does most consistently “cause” in rural communities across the globe is sleep deprivation. What does sleep deprivation cause? “…The extensive and longstanding peer reviewed published clinical research detail[s] the known interconnections and associations between chronic sleep deprivation, … [and] immune suppression resulting in increased …malignancies (cancers)…. [Observation of these] health problems worsening with exposure to wind turbine noise is not surprising to clinicians …when they understand the way infrasound and low frequency noise ….are known to affect health….” Testimony to the Appeals Tribunal of the State of Victoria, Australia by Dr. Sarah Laurie, MD. “From a biological perspective, there are a lot of good reasons for us to suspect that insufficient sleep, chronic sleep debt or short sleep duration could have an impact on the development of cancer….” Amanda Phipps, an epidemiologist and researcher at Fred Hutchinson Cancer Research Center in Seattle quoted in U.S. News and World Report. The Minnesota Department of Health (MDH) has been quite clear and consistent in their statements to the Minnesota Public Utilities Commission (PUC) about wind turbine noise and health. 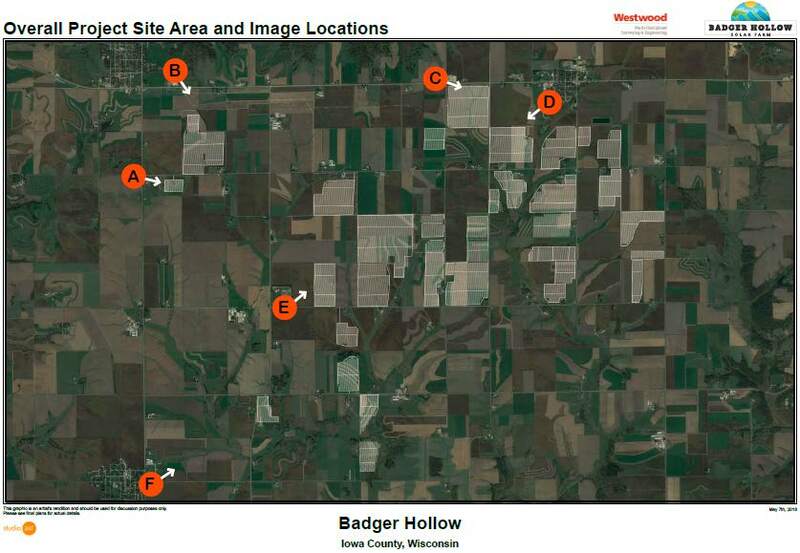 In turn, the PUC has been quite consistent in ignoring MDH’s advice as they issue “certificates of need” and “site permits” to industrial wind complexes in Minnesota. 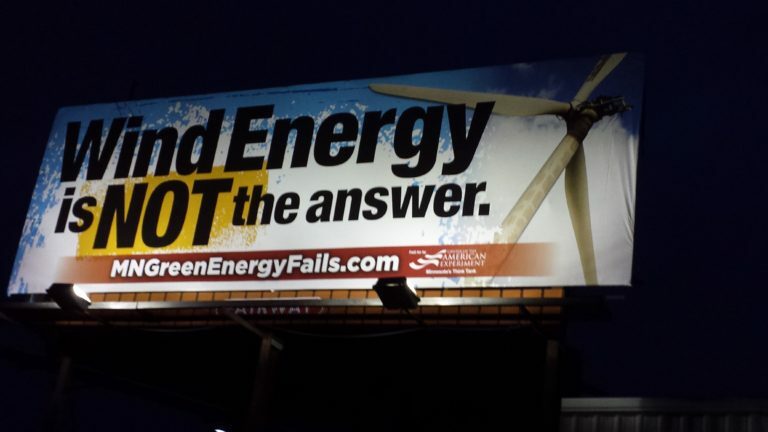 “…Low frequency [wind turbine] noise is primarily a problem …in …homes, especially at night.” “The most common complaints are sleeplessness and headache.” “The Minnesota nighttime standard …appears to underweight penetration of low frequency noise into dwellings.” The PUC should “…evaluate the low frequency noise component.”Public Health Impacts of Wind Turbines 5/22/2009. I asked Ehlinger, “How many reports of people sick from wind turbines do you need to receive at MDH before you are obligated to act?” He responded, “I’m never obligated to act unless forced to do so by the Governor or the legislature.” I notice that Ehlinger was forced to resign when he failed to act on thousands of reports of neglect and abuse in Minnesota care facilities. I notice they didn’t hold the Wind Champion Award ceremony at Alliant’s Bent Tree Wind project – where Alliant had just finalized the buy-out of Minnesotan’s homes that are no-longer inhabitable due to wind turbine noise. Bernie and Cheryl Hagen are just one sample of people who;s home was bought by Alliant energy after years of sleep deprivation and low-frequency noise after the Bent Tree Wind facility began operation (MN PUC docket ID 08-573). Bernie Sanders apparently failed to notice the significant wide-spread hatred of wind turbines in rural Vermont that resulted in a significant noise limitation in Vermont’s wind turbine siting rules in 2017. Mark me ‘Safe from coal cancer,” Jonathan Chait. I’m not a coal miner. The only coal cancer I’m aware of might be from coal miners without sufficient respiratory protection. I thought “black lung” was a thing of the past? Union of Concerned Scientists claim coal plants cause cancer through emitting arsenic that gets into drinking water in concentrations high enough to cause cancer…. I think if that claim had any medically provable credibility, one of the well-funded faux-environmental coal-hate groups would already have successfully sued a coal-fired power plant that “caused” arsenic cancer. Do stress and lack of sleep contribute to the development of cancer? Yes. Does wind turbine noise raise stress levels and interrupt sleep? Yes. As of yesterday’s release, there are 20 days to file a Petition for Rehearing, soooooo, lots to do in the next 3 weeks! This is the best news today, well, there is that other report released… OK, it’s a toss-up, but THIS IS VERY GOOD NEWS! Here’s the city analysis of the proposal, and note that after the project proposer read it, they withdrew the application. Scanning the review, the findings are that in each instance, for each section, it “does not meet Evaluation Criterion…” Well, that’s pretty clear.